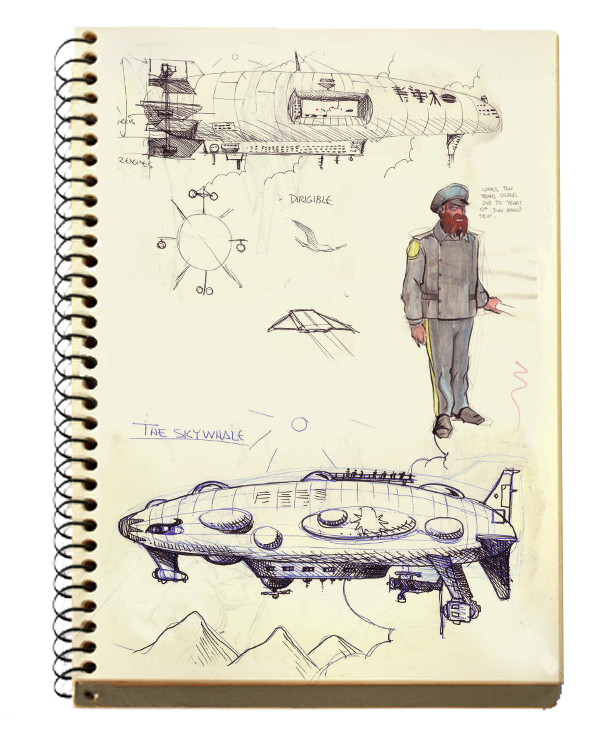 This design work was for a story set years in the future. The blimp at the top of the page is a big luxury cruiser. The smaller one is my favorite, and that’s the character sketch for its captain. 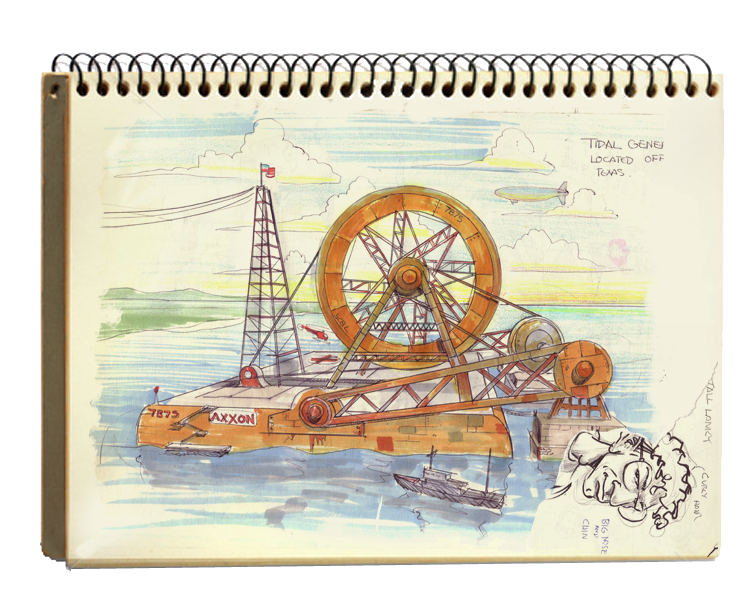 This is a design for a rusted out tidal generator, which was in the comic book series, “The Mysterions”, which was has yet to see publication.